> Fractional Horse Power (FHP) 12V / 24V DC Geared Motors. > Ungeared straight shaft high speed DC motors are also available. > Geared motors with factory fitted worm or spur gear boxes that are maintenance free and lubricated for life. > High stall torque / High rated torque in a compact frame size. > Continuous duty and intermittent duty cycle motors. 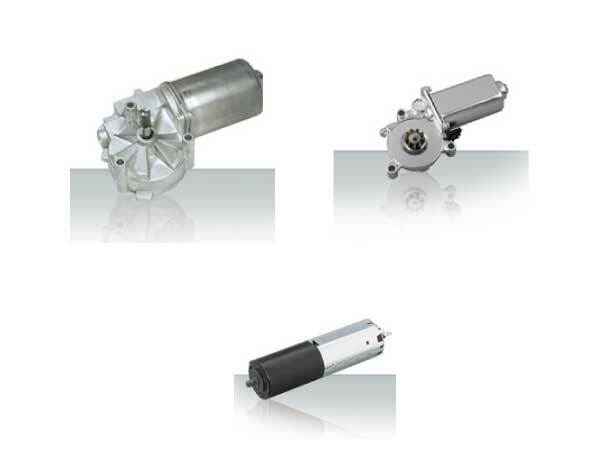 > DC Geared motors fitted with built in hall sensors for stall detection and anti pinch operations. > Very low noise and rugged.